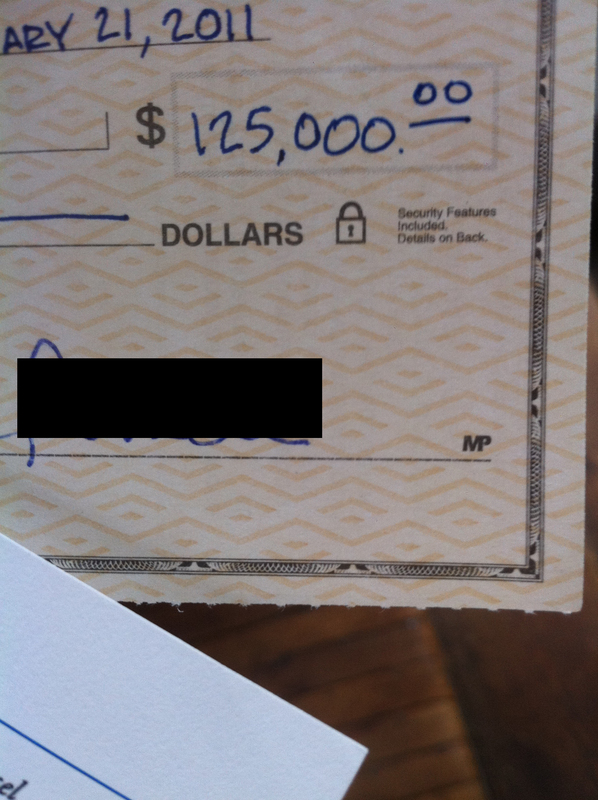 Not only did they send me a check for $125,000 cash, but I also secured a 10 year, royalty-free license-back agreement. In layman’s terms, that’s the equivalent of selling your car with the condition that you can keep using it for free for the next 10 years. There’s an old adage that says you’ll get good at what you do the most. I usually use that as a warning against bad habits, but it also applies to skill building: if you want to be great at something, do it as often as possible. The best time to negotiate is at the end of a quarter – the last few days of March, June (hey, that’s RIGHT NOW), October, and December. Most sales reps are reviewed based on quarterly performance, so they’re looking to lock up as many deals as possible before the quarter closes out. If you’re up for a contract renewal of any sort, try to sign the documents at the end of the quarter. It’s worthwhile to note that some companies fiscal year is not the same as a calendar year. If you’re negotiating a major contract, do some research and see where their quarters fall. 2. Always start with a blind quote. Target prices allow the other party to quote you a price just below what you’re willing to spend. It feels like you’re getting a deal, but they may have been able to go a lot lower. 3. Negotiate on the phone or in person. Email negotiation is more comfortable, but it also gives the other person the time to carefully think about options. It’s also much harder for someone to tell you “no” in person. 4. Let them negotiate against themselves. After they make their first offer – “I can do this deal for $500” – you should reply only with a wince (in person) or a gasp (on the phone). Then, say nothing and just endure the awkwardness that follows. They’ll soon follow up with a better offer – sometimes multiple ones (“OK, $400, well I can probably do $350 or as low as $325”). When you think they’ve bottomed out, start negotiating. 5. It really works like the movies. I’ve been through hundreds of negotiations. If you start at $200 and they start at $400, you’re probably going to end up around $300. It’s bizarre, but this is just how it works. This one is huge. Never, ever do their selling for them. “I know your product is great” or “I see that you have features x, y, and z” are things that you say when you’re feeling uncomfortable in a negotiation. Resist the temptation to save the salesperson from the awkward moment. Remember: the awkwardness comes right before they start dropping prices. 7. Offer to pay up front and/or sign the papers today. 8. Don’t pay setup fees. Setup fees can almost always be waived. You’ll find that most of these fees are just extra moneymakers for the company – very few contracts require significant setup time. First negotiate the recurring fees, then get them to drop the setup charges. 9. Negotiate for the long term. Getting 1 or 2 months free may feel good, but it’s usually not a great deal overall. The first month free on a 2 year contract is less than a 5% savings. Get them to lower the monthly rate by 10% instead. And then ask for the first two months free. Learn from my mistakes and don’t get obsessed with eking out every last cent from the deal – especially if you’re going to have to be working with this person in the future. You want to walk away with a good deal, but not at the expense of the other person feeling like they got hosed. Once you’ve negotiated 90% of the savings you think you can manage, evaluate the situation and decide whether it’s worth it to push further. If you found this post helpful, please share it on Facebook! This entry was posted in Entrepreneurship, Finances and tagged business, entrepreneurship, money, negotiating, small business, trademarks by Zack Kanter. Bookmark the permalink. Great tips! I like ending with a statement not a question and not saving someone. Thanks! I can think of a few things you couldn’t negotiate. Great post. I’m planning to buy a new car (used) in the near future, these kind of things should be useful against those forecourt sharks! Oh I love this! I was absolutely shocking at negotiating….only a little better these days. That’s one awesome deal you managed to get though!